Spring is a good time to take on interior and exterior projects that will increase your home’s sale value especially if you have hopes of selling the home this year. Remember to focus on projects that will add light, clean minimalistic design, and will ultimately increase your home’s curb appeal. Following, are some tips that will instantly turn your down- in-the-doldrums digs into the hottest home listing in town! Spring is about renewal – so there is no better time to throw out what you don’t need and take on the bigger de-clutter projects. Any spot in a home that is cluttered can detract from the space, making it appear darker, smaller, and essentially unappealing, not to mention uncomfortable. A simple fix might be to store any unused items in boxes for the winter. Or make a day of it and have a garage sale. And if you are feeling really ambitious, steam clean a carpet, give the walls a fresh coat of paint and maybe switch out the dark winter-time curtains for more sheer panels that let the sun shine in. Light, airy, spacious and more specifically clean homes are always better sellers. Clean closets, carpets, windows, show that the home is well maintained. But just as important, de-cluttering and reorganization of an old home can give it a renewed energy whether you are selling today or six months from now. … install a programmable thermostat. Most buyers expect to see programmable thermostats these days, and they can save you money. And if you need to replace your hot water heater, consider spending a bit extra to purchase a high-efficiency water heater. 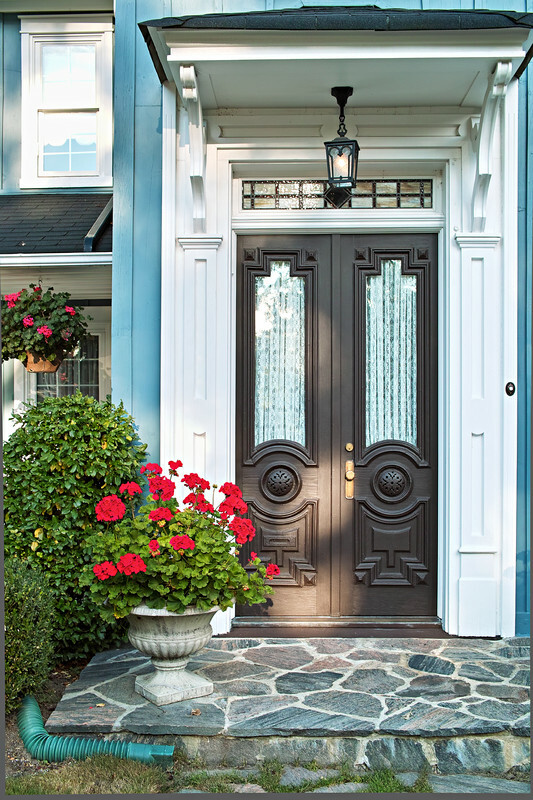 Last but certainly not least, never forget your home’s curb appeal. After a long winter, get outside and see what isn’t working. Maybe stain the bricks on the walkway or light the walkway toward your front steps. Manicure the garden around the front entrance. And speaking of the front entrance, a simple change like painting the front door can make a huge difference! Curb appeal is just like a first impression at an interview. It’s incredibly difficult to change a negative impression once it goes sour! HGTV Front Door, showcases 8 homes with Colorful Curb Appeal that do it well. As they describe a beautiful Hancock Park home in Los Angeles, the walkway is exquisite, increasing the home’s curb appeal. The long walkway to the front door is elegantly lit and highlights the exotic exterior space. The lesson: You can make even small changes to a home like installing elegant lighting sconces or adding color to the landscaping that can change the feel of your home the minute a visitor arrives. For more tips on selling or to view home listings in Agoura Hills and Westlake Village, contact Lydia Gable today for an appointment.